Around the cathedral of Rouen. 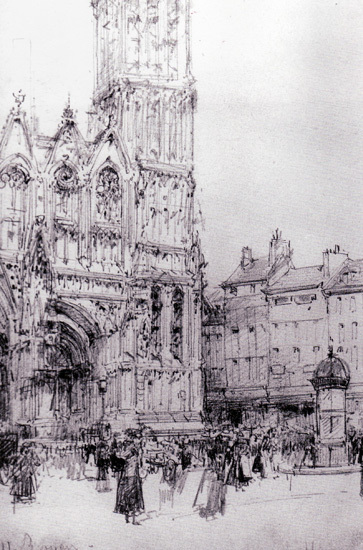 In this marvellous drawing once again we can see how Laloue worked on the architectural details, even in sketches. Rue Bompart in Marseille. 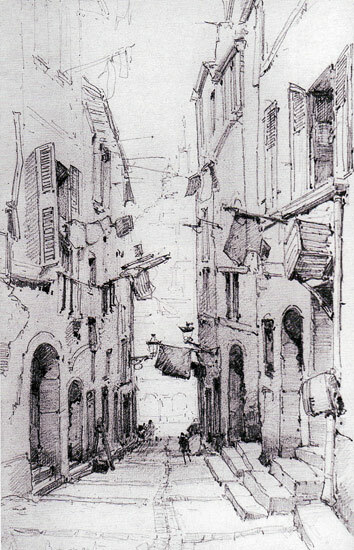 The kind of lane Galien Laloue loved particularly, with its perspectives and the picturesque atmosphere he was so good at capturing.